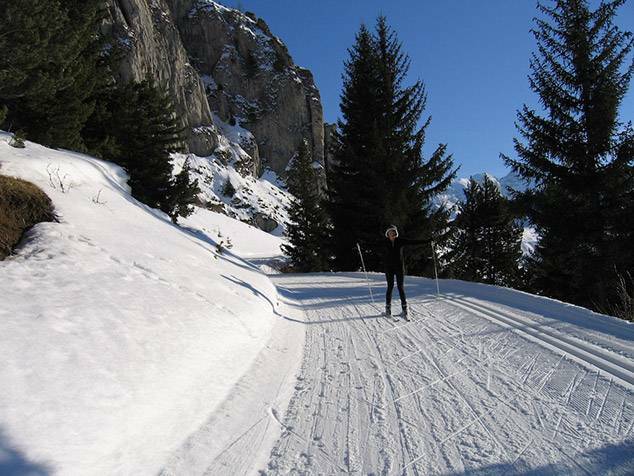 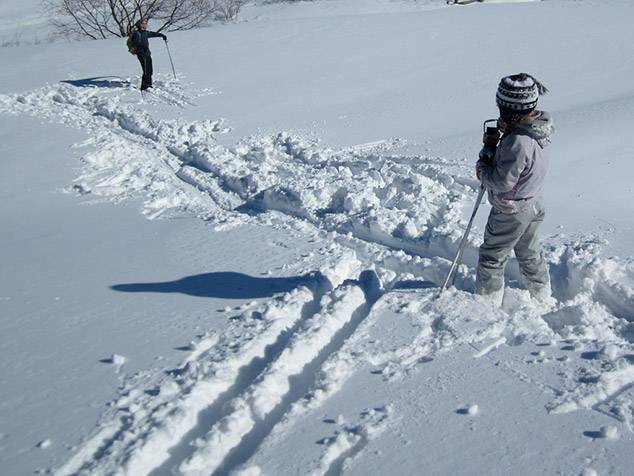 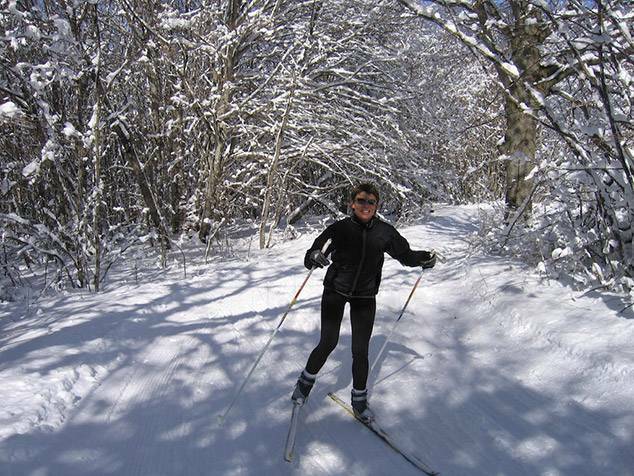 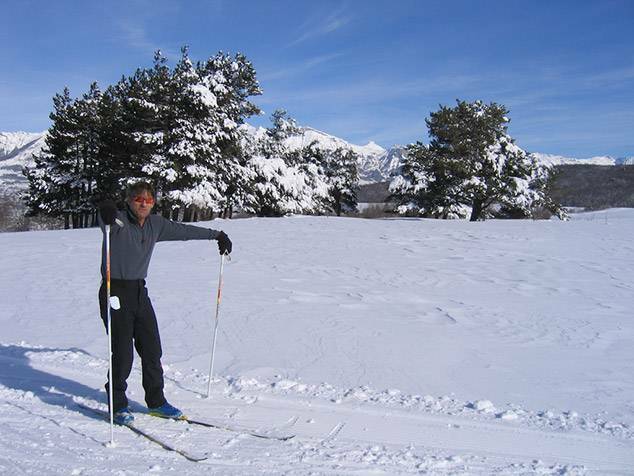 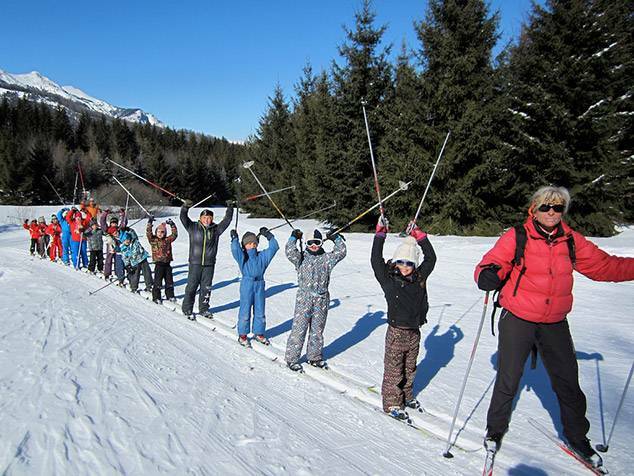 Cross country skiing is a beautiful way to explore the valleys and mountains in winter and it can be adapted to any level or ability. 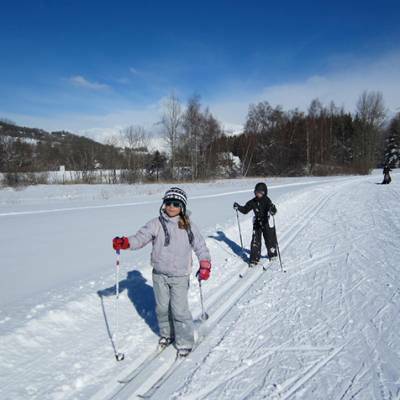 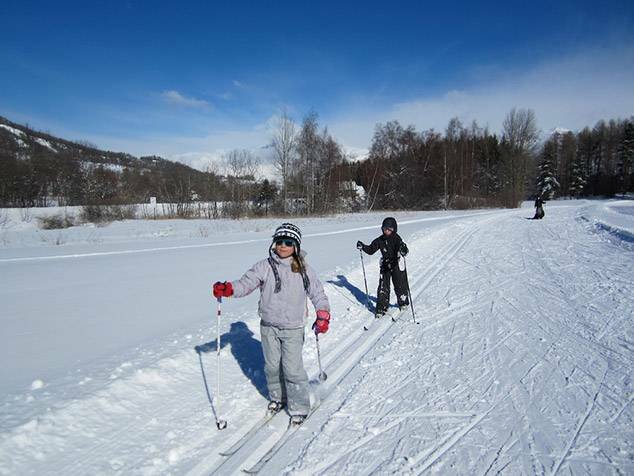 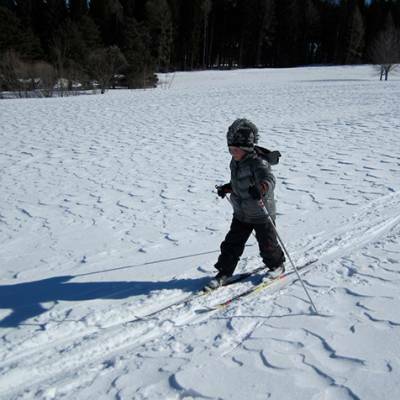 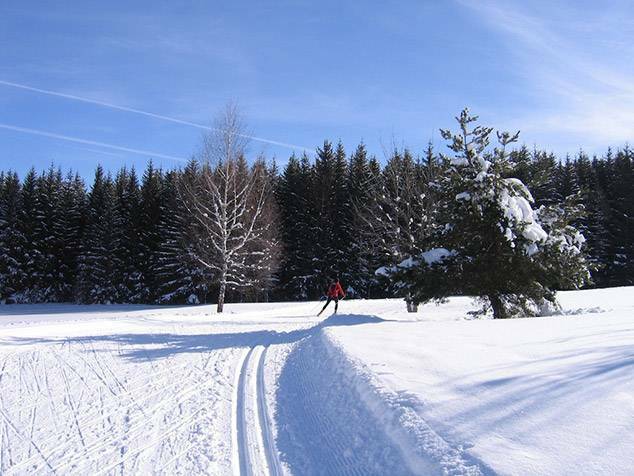 There are two main types of cross-country skiing; the traditional classic way, that we often associate with Scandinavian countries where you slide one ski in front of the other to move forward in a straight line, and skating. 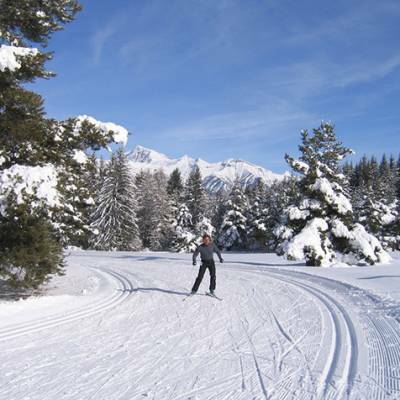 Skating is one of the best cardiovascular training sports there is and sports people of all different sporting disciplines including rowers and runners come here to benefit from it. 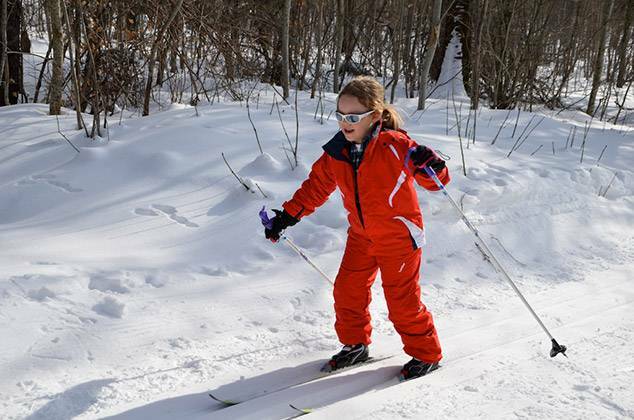 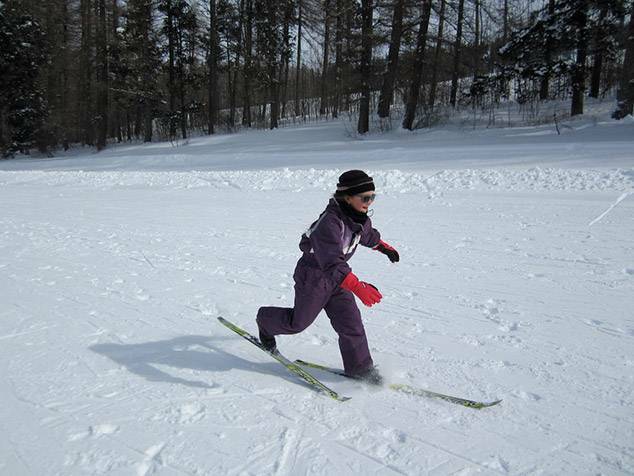 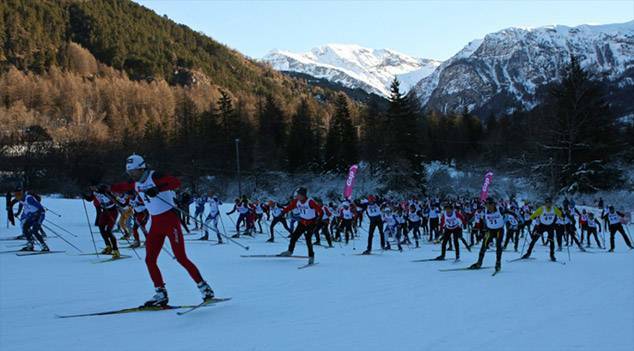 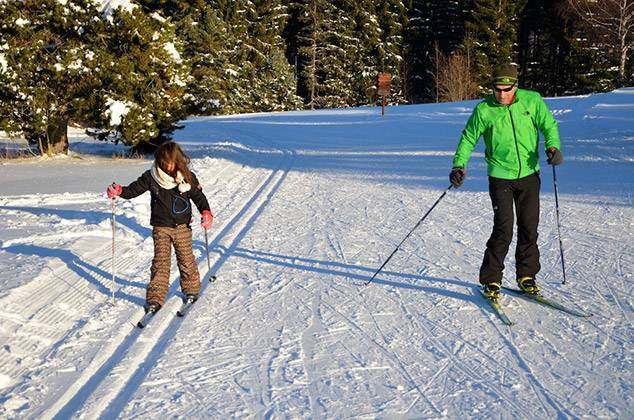 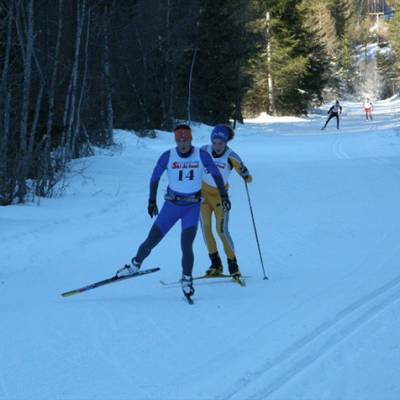 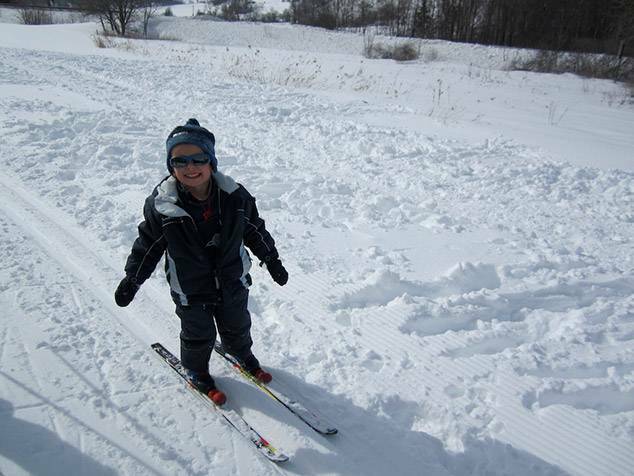 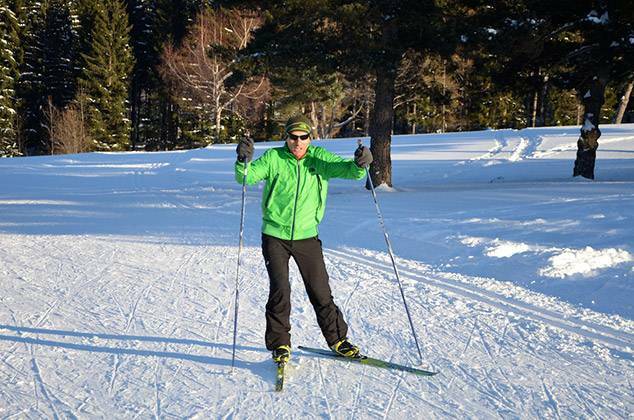 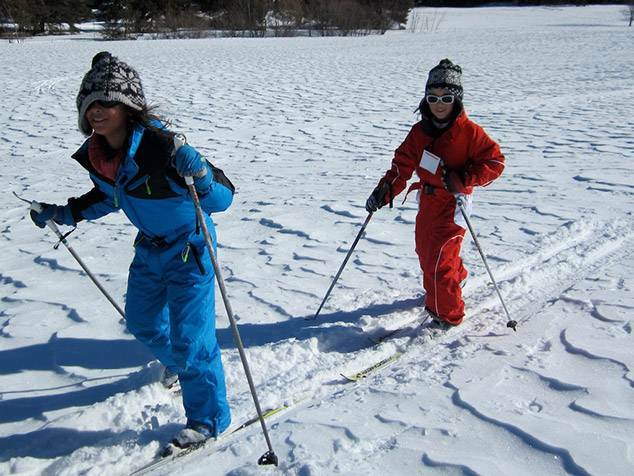 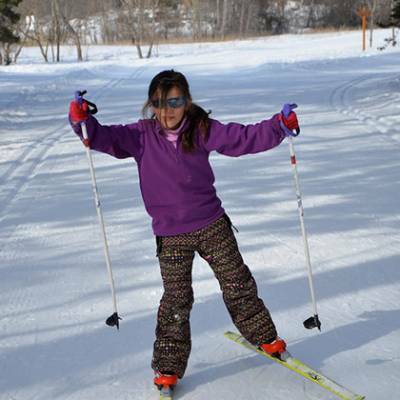 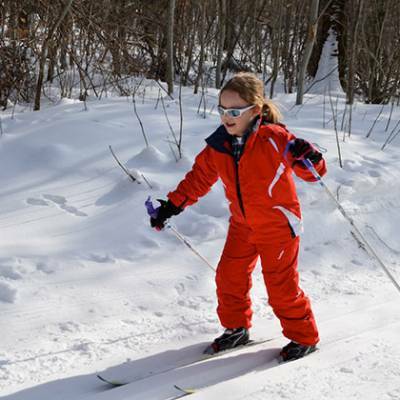 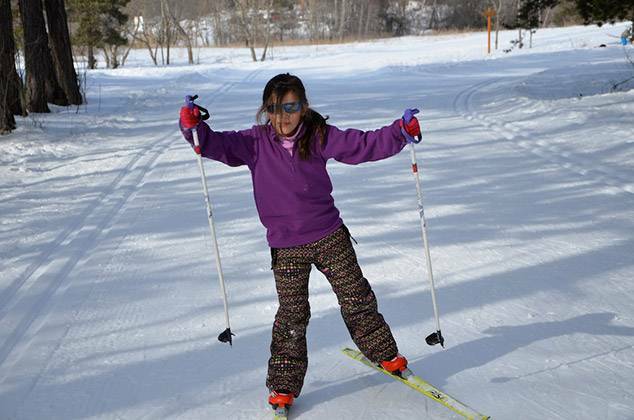 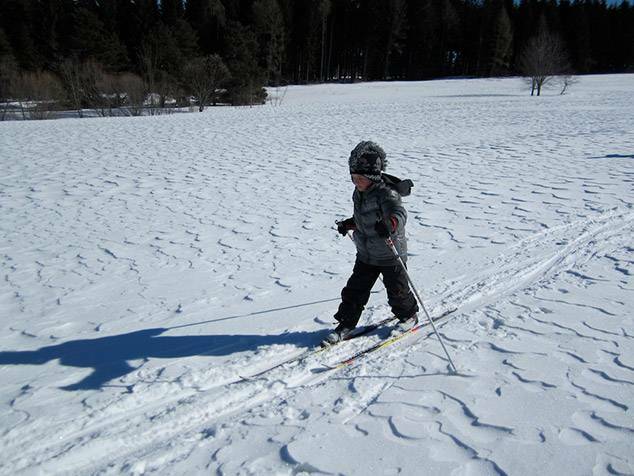 You don't have to be a serious athlete to enjoy cross country skiing. 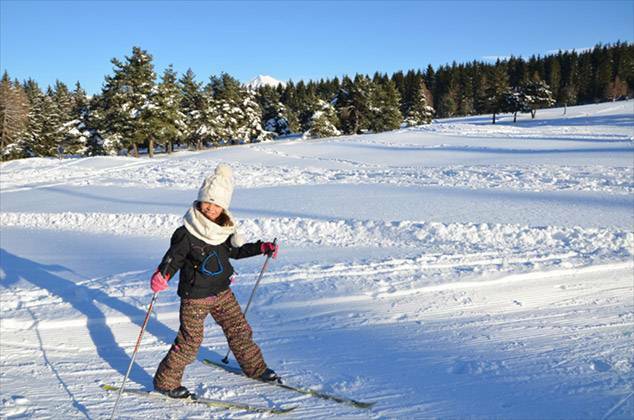 A gentle amble on classic skinny skis through the valleys is a beautiful experience away from the hustle bustle of downhill ski resorts. 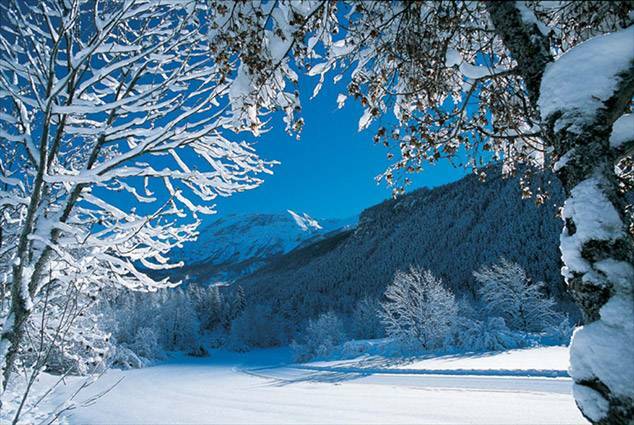 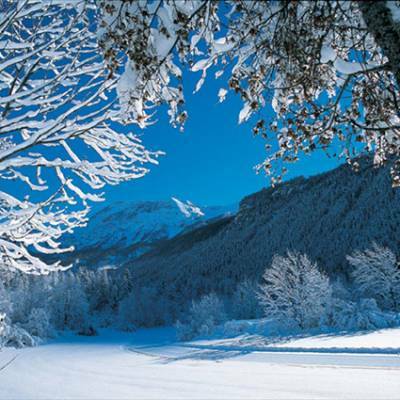 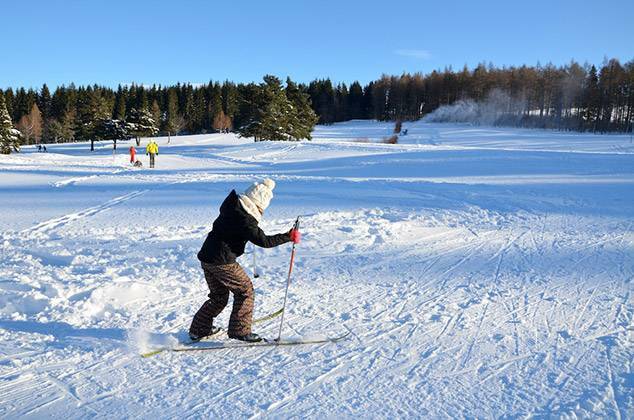 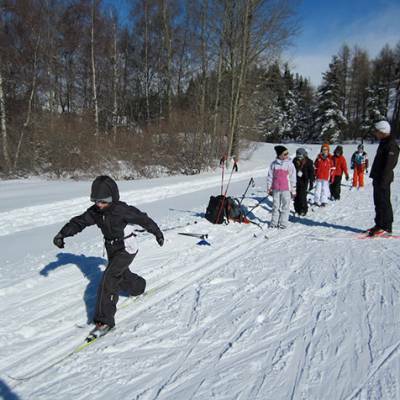 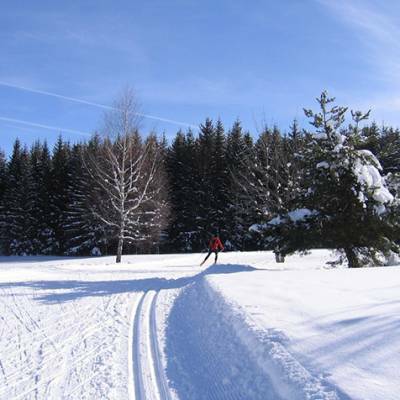 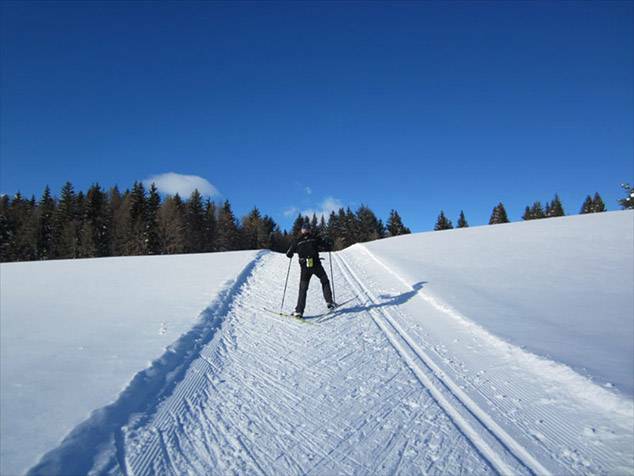 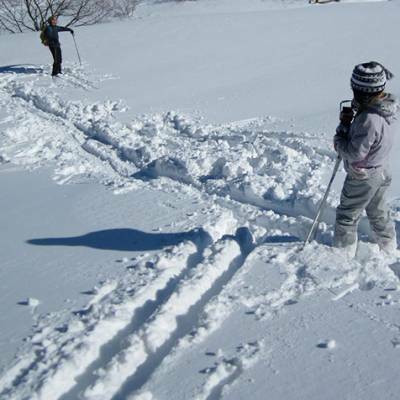 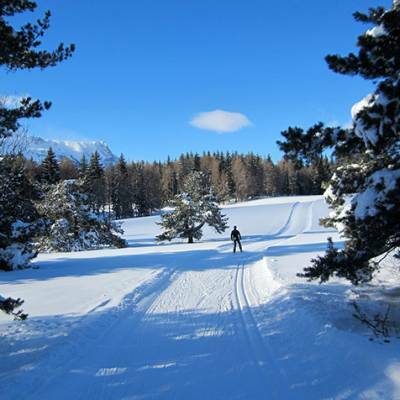 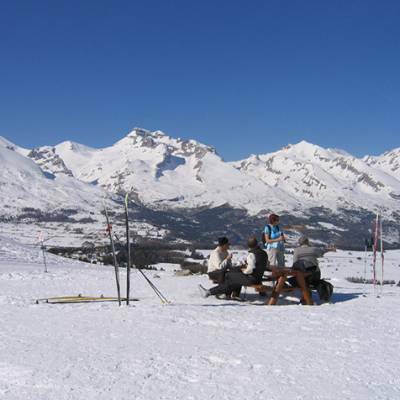 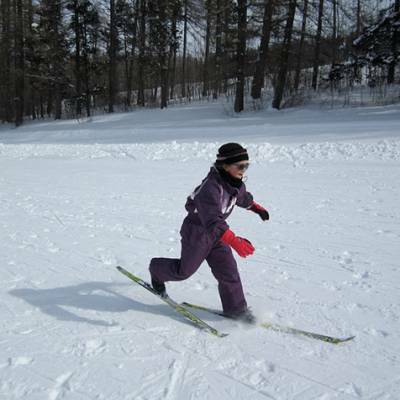 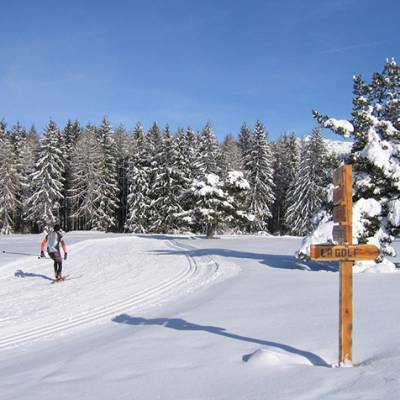 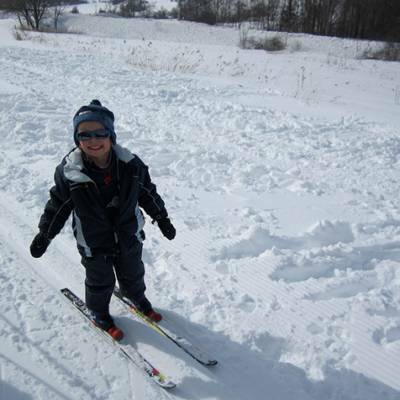 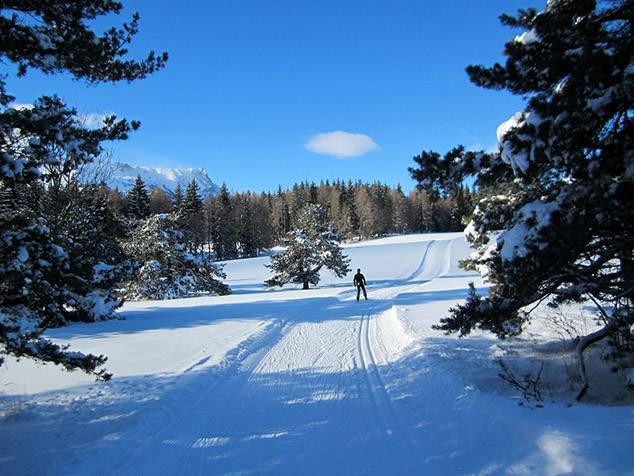 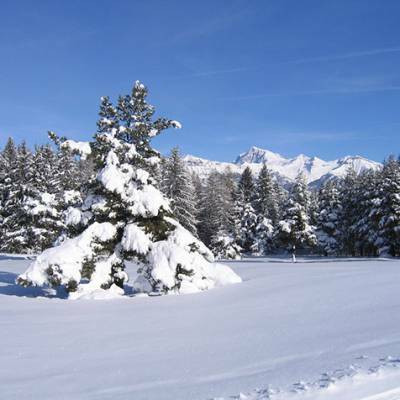 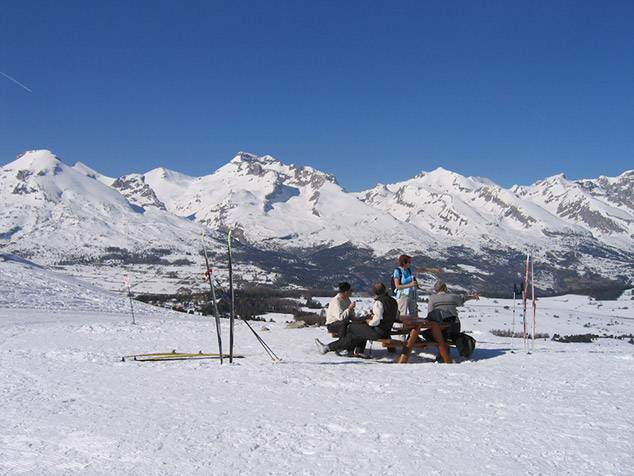 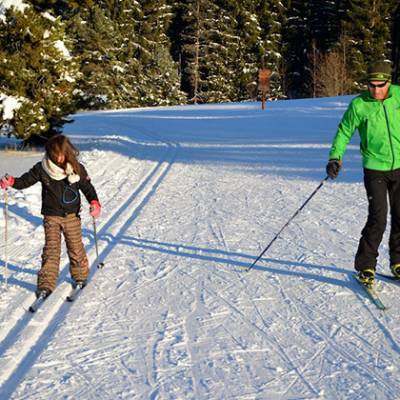 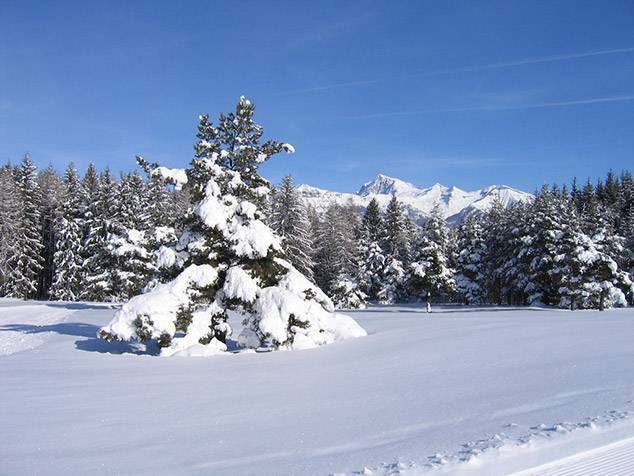 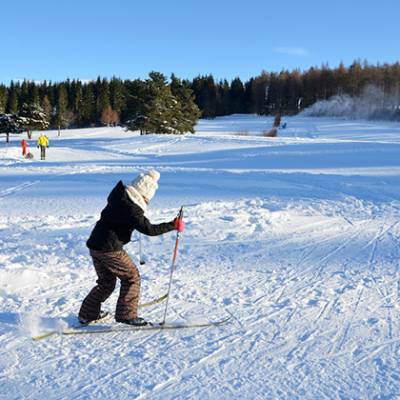 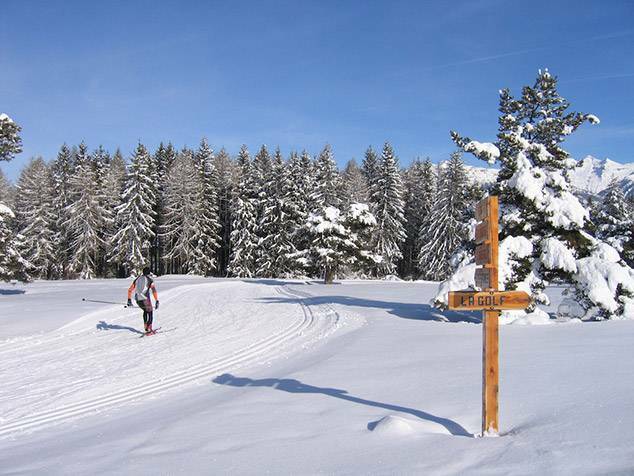 Cross country ski pistes are groomed and managed especially for cross country skiing with parallel grooves for classic skiers and a wider compacted section for skaters. 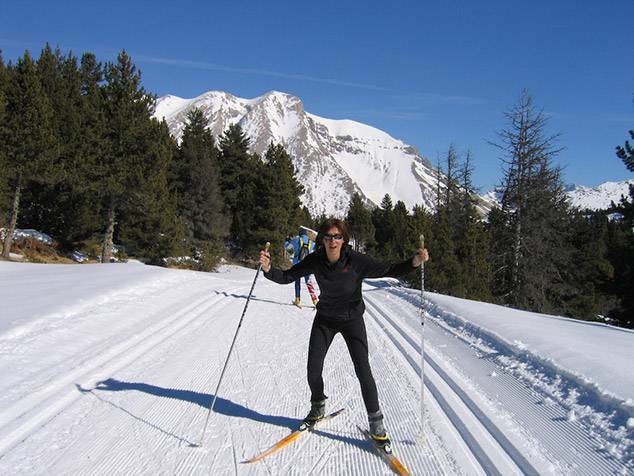 Both types of cross country skis are the skinny type. 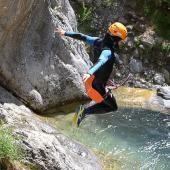 The classic ones have tiny scales on the underside to stop you sliding back. 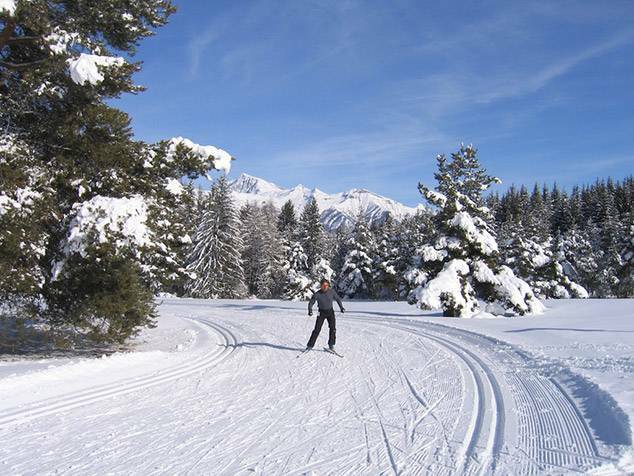 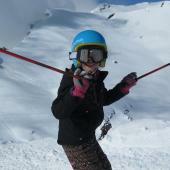 The skating skis are waxed for maximum slide without any scales and the skating technique is used to prevent backwards sliding! 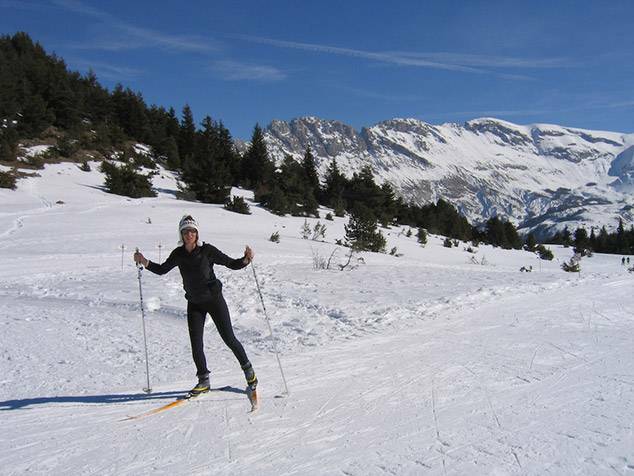 Cross country ski boots are like slippers compared to downhill boots - they are a bit like specialised walking boots with attachments on the toe to fix to your ski binding. 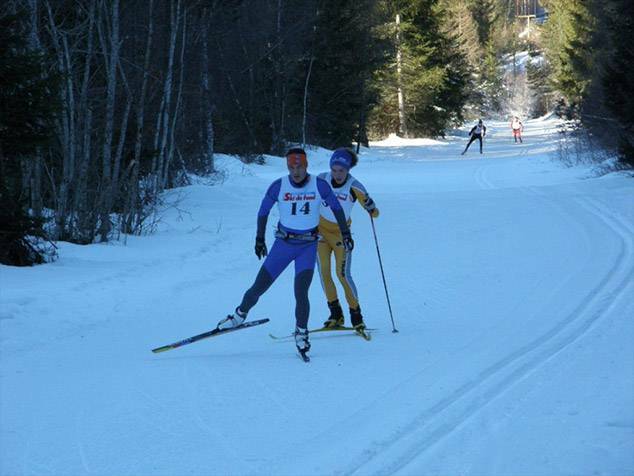 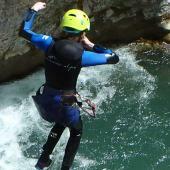 Your heel is always free to allow you to lift it up and push forwards to slide. 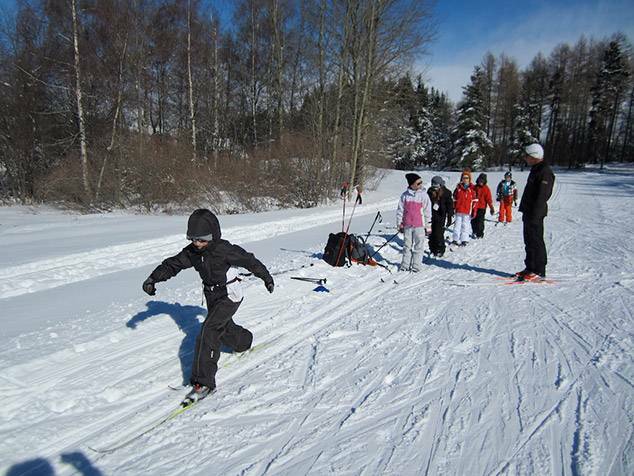 Poles tend to be quite tall, especially for skating for maximum propellsion!